We are 7 months away from the 11th International Kuala Lumpur Eco Film Fest 2018! I am excited for the festival because as part of this year’s theme: Forest, Water and Climate Change, it is turning into a platform to address two important issues relevant to many of us – responsible consumerism of palm oil products; and Malaysian rivers under the River of Life (ROL). This year we are collaborating with the Roundtable for Sustainable Palm Oil (RSPO) and River of Life (ROL) to contribute to an important cause in educating the public about the issues I mentioned above through the film submission of our festival. In relevance to the palm oil industry, under the new award ‘Responsible Shopping: i Saw-it’, KLEFF together with RSPO create opportunities for people to make films regarding responsible use of products that contain certified sustainable palm oil, in line with Sustainable Development Goal 12 – Responsible Consumption and Production. One of the targets of SDG12 is by 2030, people everywhere should be able to have the relevant information and awareness for sustainable development and lifestyles in harmony with nature. Hence, we believe that films submitted will act as a powerful tool in conveying credible information to the public on responsible consumerism of palm oil products. Moving on, there is a positive incline in the engagement of activities under the River of Life (ROL) project which was launched in 2017. In partnership with ROL, with the new award - Special River of Life (ROL) Award, we hope to put the spotlight on our rivers and everything they are a part of, such as the communities and the ecosystem. This can be achieved through submission of films on Malaysian rivers because as mentioned before, the films can be useful educational and communication material in providing information and exposure to the public. With these two new awards, we are looking for new ideas from the public especially the youths to tell their stories and ideas about our environment. This means we are now opening our invitation to universities in Malaysia and Asean to become our University Partners to enjoy special film screenings and film making workshops at your university. I’m sure we can make this into a reality, don’t be shy to reach out to our friendly KLEFF committee to be our university partner. KLEFF 2018 would like to announce another exciting partnership with WADI Malaysia as the official Community Partner. WADI Malaysia champions on encouraging women development through progressive movement and innovation. 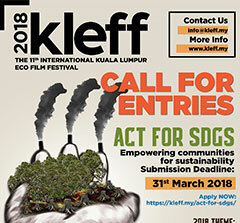 WADI Malaysia will be participating in KLEFF through submission of films about Malaysia’s rivers and responsible palm oil product consumption. There will also be a community screening hosted by KLEFF for WADI to engage with the community on pressing environmental issues. Submit Films on Malaysian Rivers or Sustainable Palm Oil Production/Consumption and Win Special Awards! 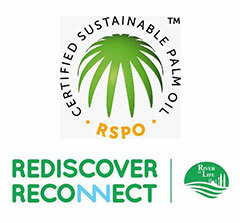 For the year 2018, KLEFF started off with its partnership with two Special Film Category partners – Roundtable on Sustainable Palm Oil (RSPO)`and River of Life (ROL). For more information on the new awards, click here. This year, with the theme, “Forests, Water and Climate Change”, we invite individuals, companies, organizations and government agencies to plug in to KLEFF by proposing an event, campaign, idea or exhibition, the sky is the limit that fulfills the theme and also resonates with one if not more of the Sustainable Development Goals. 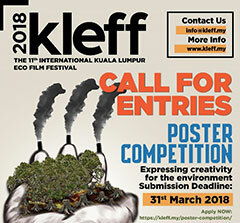 The KLEFF Festival Poster Competition is a new addition to this year’s program. The Competition is open to all Malaysians and non-Malaysians who have an interest in creative design and art to evoke a sense of appreciation, awareness or acknowledge of the environment. 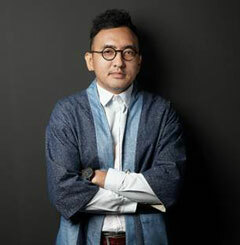 Running for 10 years, KLEFF became the largest and longest-running eco film festival in South East Asia. How did it start and what inspired the festival founder to create an eco film festival in Malaysia? You wouldn’t want to miss this interview with the KLEFF Festival Founder and Honorary Advisor herself, Yasmin Rasyid. The KLEFF team caught up with the winner of Public Service Announcement (PSA) Award – Ivan Jaripio, who directed the film ‘Identity’, which was screened during KLEFF 2017. Check out our interview with this inspiring film maker as he talks about his films, involvement in KLEFF and challenges in film-making. Now in its 11th year, the Kuala Lumpur Eco Film Festival, produced by environmental NGO, EcoKnights features environment-themed documentary, feature, animated, archival, and experimental and children's films from around the world. KLEFF showcases ground breaking films, traversing the relationship between humans and their environments, challenging the way people think about the natural world and inspiring them to discuss, explore and act on important environmental issues. The films will be shown at various venues around Kuala Lumpur, including art spaces, cafes, universities, high schools, corporate officers and community theatres. Filmmakers and special guests will discuss their work at the festival. Most screenings are free to the public and include discussion with filmmakers or scientists on emerging environmental concerns and issues. The KLEFF's official host venue is Publika Solaris. More information can be found at kleff.my. EcoKnights® is a non-profit environmental organization that champions sustainable living and supports a community of film makers, and environmentalist who embody diversity, innovation and uniqueness of vision. EcoKnights' Board of Committee Members, staff and constituents is comprised of an inclusive community of individuals across ability, age, ethnicity, gender, race and sexual orientation. EcoKnights serves the community through development-led interventions from education and awareness programs to research; and public participation programs to consultation. EK's partners range from government agencies and communities to corporate agencies and NGOs. For more information about EcoKnights, log on to ecoknights.org.my. For further information, kindly contact: Fadly Bakhtiar, Festival Director, fadly@ecoknights.org.my, +6017 227 9270.